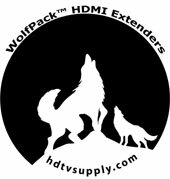 HDTV Supplys WolfPack HDMI To Coaxial Adapter sends HDMI signals over just one 75 Ohm Coaxial cable up to 300 feet away. The HDMI To Coax Adapter includes two units: transmitter and receiver plus AC adapters on both units. The transmitting unit is used to capture the HDMI input with IR signals and carries the signals via one coaxial cable. The receiving unit is responsible for equalizing the transmitted HDMI signal and reconstructing IR and serial control signals. The HDMI To Coax Adapter offers the most convenient solution for HDMI extension over a single coaxial cable with long distance capability, and is the perfect solution for any application. In addition, our WolfPack HDMI To Coaxial Adapter is also equipped with an IR pass-through path. 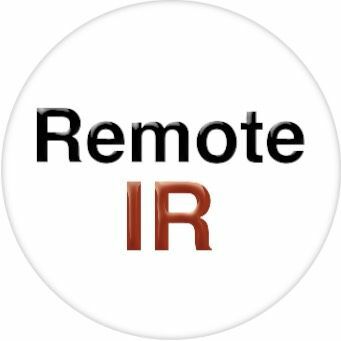 This bonus feature allows users to rely on the same coax cable to have IR control on IR equipped devices, such as TV and DVD players and makes IR control possible through only single coax cable along with the high quality HDMI A/V signals. Flexible extension of high-bandwidth HDMI 1.3 thanks to the performance and reliability of 75Ohm RG-6U Coax cable. Audio and video are transmitted digitally over the 75Ohm RG-6U Coax cable with zero signal loss. 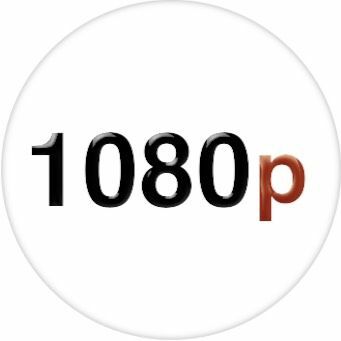 Single HDMI Link Range: 1080p/60, 12 bit color depth. Compliant with HDMI 1.3, HDCP 1.1 standards. Supports Cascade function in Transmitter and Receiver and it is easy to build a network over coax. IR system allowing for control of a source (IR accessories included). NOTE 1: This WolfPack HDMI To Coaxial Adapter includes a SEND unit and its AC adapter and a RECEIVE unit and its AC adapter and both must be used. It cannot work with only one box and needs both boxes and must be used in pairs. It cannot be used to convert an incoming coax signal to an HDMI signal. Think of it as a long HDMI cable. The WolfPack HDMI To Coaxial Adapter supports HDMI 1.3 and HDCP 1.1 with features such as Deep Color and 1080p. By using standard and widely available 75 Ohm RG-6U cables the HDMI To Coax Adapter makes HDMI signal extensions to be easier than heavy and expensive copper cable and more robust than optical fiber. The HDMI To Coax Adapter consists of a Transmitter and a Receiver. The HDMI source (set-top box, DVD player, or gaming console) connects to the Transmitter box with a HDMI cable. The Receiver connects to the HDTV display in the same way, up to 300 feet away. One 75 Ohm RG-6U Coax cable links the Transmitter and Receiver. Power is applied to the Transmitter and Receiver with the included power adapters. NOTE 2: In-house and existing passive splitters drop the signal strength in half, or more, so delete all of the splitters and wire this device directly as it won't work with coax splitters. They should NOT be used in conjunction with connector adapters, signal processors, switches or amplifiers between the Source and Display device. This HDMI Coax Adapter sends only one HDMI signal to a TV with the receive unit at the TV. It does not work any other way. If you are trying to send one coax signal to a TV with an HDMI input it won't work. One set includes a transmitter and a receiver set. Why not buy this WolfPack HDMI To Coaxial Adapter today? This WolfPack HDMI over coaxial extender can send HDMI signals over single 75 Ohm coaxial cable to 100M distance. Supports digital video formats in Deep Color Mode at up to 36 bits (12bits/color) and 48KHz LPCM L/R audio. Equalizes and recovers incoming TMDS data before re-transmitting it in high quality, regardless of the incoming signal quality. Q: Can I use this HDMI To Coaxial Adapter to convert the coax cable coming out of my wall to HDMI? A: NO! Think of it as a long HDMI cable. This HDMI To Coaxial Adapter includes a SEND unit and a RECEIVE unit and both must be used. It cannot work with only one box and needs both boxes. 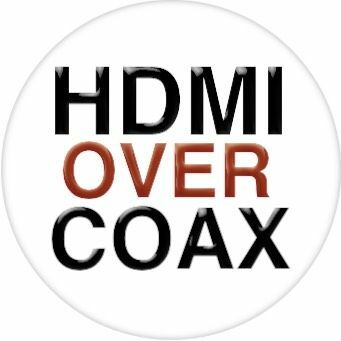 The HDMI Over Coax Extender cannot be used to convert an incoming coax signal to an HDMI signal. You need both the transmitter and receiver for proper operation. They must be used in pairs. HDMI signal goes into the transmitter travels over the RG6/59 cable into the receiver and then connects to HDMI port on the display. Why not buy this HDMI To Coaxial Adapter today?